Note: to contact me about music instruction please visit Greater Austin Music Academy. 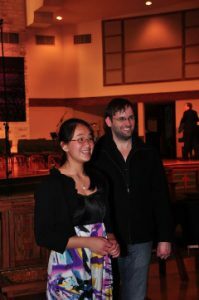 My students have won many top level competitions throughout the state, performed with – and had compositions premiered by – groups such as the Austin Symphony Orchestra and Austin Civic Orchestra, performed on Austin’s KMFA 89.5, and have gone on to be accepted at prestigious conservatories and music schools. I am proud to say that my students have been drawn from around the state, including College Station, Round Rock, Pflugerville, Cedar Park, and as far South as San Marcos and New Braunfels. While many of my students work towards performances, competitions, and auditions, I have worked with students of nearly every background and goal. Because of time constraints, my current studio is fairly small. The best way to reach me is through the contact information page above or through the Greater Austin Music Academy website. E-mail is often the most reliable way to contact me. You can also read my My Studio Policy and My Piano Studio Requirements. After moving to Austin to study under the renowned pianist Anton Nel and complete my graduate studies in music theory, I quickly fell in love with this city! With well over 15 years of teaching experience, and over two decades of performances, I am lucky to have a thriving studio of award winning students at all ages and levels, and I have successfully taught beginning students (both children and adults) through very advanced conservatory-level pianists. Besides my teaching, I am President and a founding member of Austin Piano Festival and run the widely read PianoBlog.com. I am also extremely active as a board member of the Austin District Music Teachers Association, where I serve as Student Events Chair and Vice-President. In this role I have also chaired of several large festivals and contests involving the coordination of several hundred piano students. As a performer, I made my Concerto debut at the age of 15, and I continue to work with musicians both in Austin and around the country. I have performed in numerous venues and have appeared in both radio and television broadcast. When I’m not involved in musical pursuits, I enjoy reading, fitness, philosophy, and a wide range of hobbies.